Do Good. Though surely not ideal and, actually, very far from it, I suppose that in some very strange way that it is a good thing that we're able to look at and identify the 'standings' of not only Reggae music, in general, but very specific aspects of it as well. Whether we know and observe it or not, the music has developed to the point where it has provided us with well existing templates and examples of what is available and to whom, exactly, it is accessible. 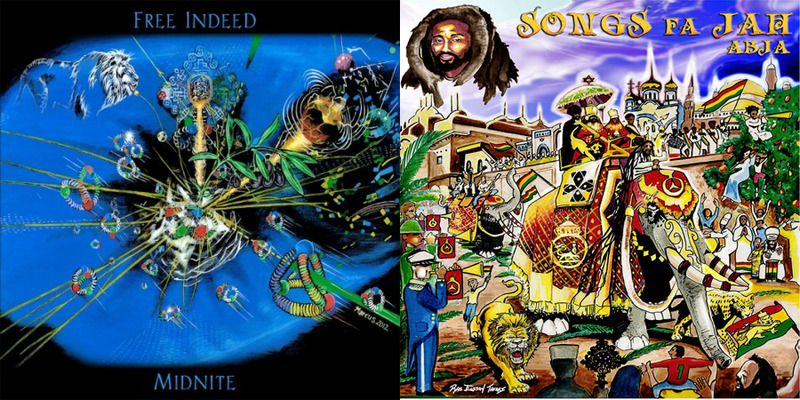 Today we're going to take another look at an artist from the Virgin Islands Reggae scene who, by virtue of being incredibly talented, has placed himself, at least potentially, on the doorstep of what I still hope will be a huge career someday. The VI scene very much offers such a diverse group of artists who achieved a great deal in the music and figure to continue. At the head, of course, would be entities such as Vaughn Benjamin and Midnite as well as Pressure Busspipe, both of whom are, essentially, 'household names' in the music to its more devoted of followers. But also we look at individuals like NiyoRah, Ras Attitude, Bambú Station and others who have made such a prominent impact on Reggae, as a whole, that they're also amongst the more popular of names as well (and I'll tell you now, as I have hundreds of times, Niyo is going to be a star, in his case it is only a matter of "when", not "if"). And just last year, the wonderful Ras Batch, at least in my opinion, has taken a step-up and joined that pack and should remain there with future releases. Still, with all of that being said, the VI's Reggae music has developed so immensely to the point where there're also artists who have sizable followings, but are still very much on the rise in terms of their more literal popularity in Reggae. Now we are talking about the likes of Ras Iba, Abja, Mada Nile, Xkaliba, Jah Rubal, Ras Bumpa, Ickarus and (I could probably name another FIFTEEN people who would exist on that level) others who have already shown themselves to be very talented to the masses and we hope to see them gain in so many ways in the coming years. Someone else who firmly fits into that batch (biggup Batch), would definitely be the grandly named Ancient King from out of St. Croix. As it is in the case of so many of those artists, and others, I really think that something which has hurt from the King from grabbing more attention throughout the years has been a lack of consistent activity, but apparently he's chosen to make a great change to that in 2013. Now, looking back, it's kind of remarkable that I've been listening to Ancient King for the better part of a decade as the former 'Willow' first came to the attention of many as part of "Weep Not", an early compilation from I Grade Records. A couple of years later, with a new name, Ancient King would push the mighty debut, "Conquering Sound", on the same label which, even back then, would get a significant push (they're just really good at promoting is I Grade) as the fiery portion of the label's "Fire - Earth - Wind" campaign, which also included full albums from Ras Army ["Rasta Awake"] and the aforementioned NiyoRah ["A Different Age"]. Four years later, he would emerge with his sophomore set, "Judgement", for "Full Grown Records". Since then, however, while he has definitely continued to perform, I don't see him as being as active in the studio as many of his peers (and no, I'm not comparing him to Midnite, although I guess I probably could TODAY). 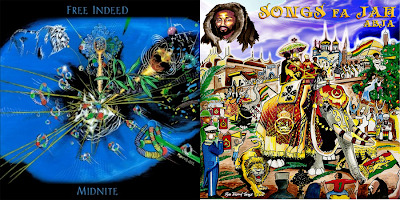 However, two places where you will likely always be able to find Ancient King tunes are in combination with Vaughn Benjamin and Midnite and also with Higher Bound Productions, from out of California. 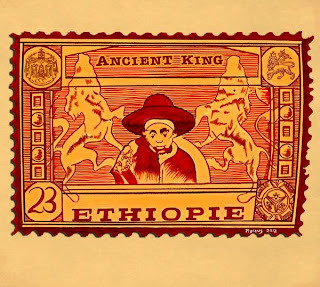 The latter now releases, somewhat surprisingly, the third album from the heavy chanter, "Ethiopie". Previously, Ancient King appeared on the label's well received "New Name" compilation from a few years back and apparently someone at HBP had taken a larger interest in the artist as, in making a big impact early this year, the King is now included in another trio of releases which also includes "Free Indeed" from Midnite (which has, suddenly yet unsurprisingly, become very popular) and the still to come "Songs Fa Jah" from the also aforementioned Ras Abja. I was so happy to see a new project from Ancient King as part of the releases as, again, he hasn't seemed to be the most active of names and I really do look forward to hearing from him on something (WHEN HE IS IN A GOOD FORM!). Just last year he would appear on a tune from the "Hold The Vibes" album alongside its star, Ras Attitude, and if I'm not mistaken (and I likely am), that would have been the very first new song I had heard from him in a year or so. Of all of that work and the work from further back, it remains my opinion that the "Conquering Sound" album is his finest work to date. When it arrived, I didn't enjoy "Judgement", but I now (particularly after having a refresher's listen for the sake of this review) have a grander appreciation of it (which may not be saying a great deal) - I do not love it, but it is a better album than I ever gave it credit for being and I was wrong about it, but it isn't what the first album was in my opinion and it is not close. In the case of "Ethiopie", my ears are open. In the few weeks or so between knowing of this album's coming existence and actually receiving it, I've been really looking forward to hearing it. 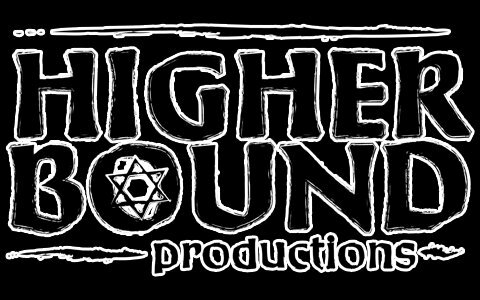 I've had a very good feeling about it and, again, I'm just so happy that Higher Bound Productions has decided to not only make its new year entry with such a big showing, but have also chosen to promote the music of Ancient King within it. So! The only question remaining is how good is the new album: Let's hear! 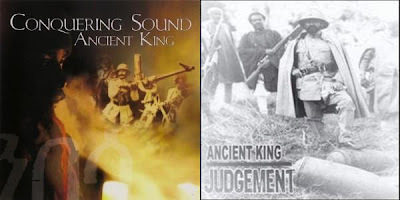 When at his strongest ("Conquering Sound"), Ancient King's is kind of a mixture of the styles of Vaughn Benjamin and Capleton which is, at times, this very harsh and almost overly-fluid, chanter who makes up for what he may lack in melody with just an overpowering sound. When he isn't there, he tends to YELL too much, but what I can say is that, in his case, it's clearly an act of emotion and not experiment. 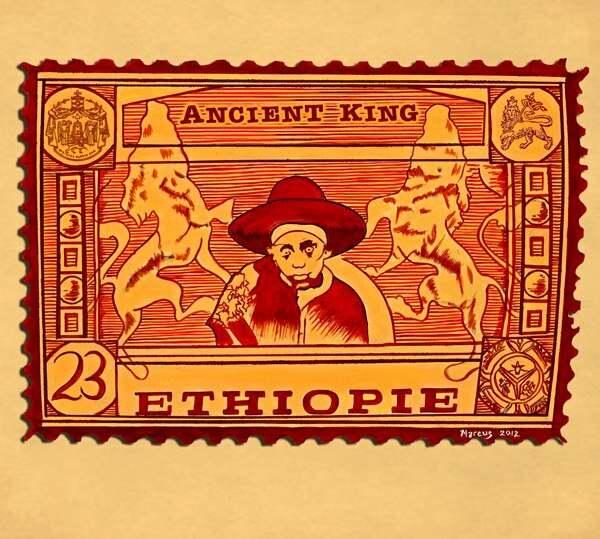 As you might expect on an album with seventeen songs on it, you get a thorough reintroduction to the skills of Ancient King, but ultimately "Ethiopie" proves to be a strong record with far more of the good than the "isn't". A decent tune does get the album in gear, 'Let Jah Arise'. This song, everything about it, almost seems like it was purposefully made to begin the album. It is an extremely passionate praising song with an entirely acoustic backing (…to which Ancient King pays almost no attention!). A nice start. 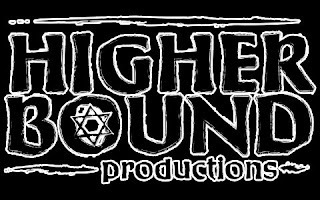 Things go much higher on the next tune, ‘Judah Lion Rule the Jungle'. Babylon mi seh, dem doh have no sense"
BIG! This tune does have a bit more of a discernible structure to it and definitely reminds me of something which may've come from the King's first album and, as we've established, for me that's a great thing. 'Kingciple' was a tune I was well interesting in hearing and hearing the direction of and I can say that it is one of the best songs on the album. For as wholly unforgiving as it is (and it is, and pretty much everything on this album as well… probably everything Ancient King has ever recorded is), it is just as BRILLIANT! A big and thrilling highlight on "Ethiopie" which is not to be missed at all in my opinion. That word, "brilliant", is a prevailing trait throughout "Ethiopie", to the point where, even on the tunes I'm not exactly overjoyed by, I still have to acknowledge the level of ultra insightful lyricism. A really fine of this, specifically, would be a later tune by the name of 'Ark'. This may be different someday (like tomorrow), but I hear quite a bit of Hip-Hop on this track and that's not my favourite thing, but when you actually LISTEN to what is going on and being said on this track, which almost has a hint of the Spoken Word style within it, you come off of it almost in awe ["In awe. In awe!"] of what the artist does with the song in terms of the historicity of the world. Both 'Ship Without A Rudder' and 'See Dem Seeking Fi Gold' (which I do really like) are also full of a whole heap of serious intelligence. To my ears they have somewhat of a similar lyrical approach. On the former, Ancient King says that it really does not matter what you have learned in your life, if you lack the guidance of His Imperial Majesty, you are lost. If he don't have the almighty"
On 'See Dem Fi Seeking Gold', which is fantastic and probably my third or fourth favourite song on the album, the message is that no matter how much wealth you have acquired in your life, if you have not acquired the love of HIM, your fortune is worthless. Also to be found in the latter stages of "Ethiopie" is the KNOCKING 'You No Fi Chat Folly', which has such a powerful riddim behind it that it threatens to make the actual meaning of the tune --people mistreating the music-- an afterthought, but I'll tell YOU to make sure you follow the words on the tune (particularly later on in the song where Ancient King just… gets angry!) to be able to appreciate it on an even higher level. Also check the lovely 'True Hearts', 'Peace' and the closer, 'Don't Gain the World'. All three of these selections, especially the first two are big additions to the album. 'Peace', as its title indicates, is an anti-violence composition, but it is packed with so much information and educated opinion that it really feels like someone is teaching an idea and, really, I suppose that was the intent there. Mission accomplished. Going back, it is in the middle portions of "Ethiopie" where I feel that the album really shines and offers a great deal of its strongest work. Three tunes here really stick out to my opinion, but the others are strong as well. Of the "others", well make a point to check the big 'Don't Offend Selassie I'. This song is really one suggesting the masses to live better lives. It is a very complicated and complexly written tune, however, so pay special attention to that one. The very curiously titled social commentary 'Generation of Viper' is likely to grab a lot of attention based on its name, alone. What listeners will find when they listen to the tune is another very good one, albeit one which is likely to take a bit of time to 'settle'. I will say for this tune that it is amongst the easier listens on "Ethiopie" because, at least comparatively to what surrounds it, it is a fairly dynamic track and I love that riddim. Strictly based on sound, 'Wake the Town' may be even stronger and it also offers a sublime sentiment. And there is also the pounding 'Do Good Everyday' which I would definitely place in the next class of songs on the album, because I really like that song. The phrase 'Do Good', anytime that I see it in regards to Ancient King, I instantly think back to the "Conquering Sound" album which contained a HUGE tune of the same name and while this song isn't on that level, I predict that it is going make many, many fans of its own. So Jah seh, there is no other way"
As for that big trio of songs I mentioned, the biggest of them all on "Ethiopie" is the tune the album is named after. This is a LESSON! It just happens, incidentally, to be stuck to music and that's fine, but this is a pure education from Ancient King to his fans. It's technical and straight forward and commentary-like and full on compelling in every way. Next is another commentary but this of the social kind, 'Dat Ah Babylon'. Here, we find Ancient King really just expanding on the NASTY ways of the corrupt world. He has one main example he "returns" to on more than one occasion, which illustrates his point very vividly. And finally is the wicked 'Clean Words', which is a song that I think relates directly to 'You No Fi Chat Folly'. Both are pieces which're really just about watching the words that you say. In this case it isn't so precise in terms of speaking ONLY to artists or mainly to this one. 'Clean Words' is for every speaking human being on the planet ["dirty mouth neva coulda win"]. Overall, I'm going to say that I now hold this album in a bit higher respect than I did before I wrote the review for it (which happens fairly frequently, but it always kind of surprises me). Ancient King, like Vaughn Benjamin and Midnite, generally, is someone I recommend but with a condition. This album, despite having just a bit of Hip-Hop dashed in is, in my opinion, very likely to only be appreciated by more seasoned Reggae fans. Also, if you haven't listened to a great deal of Ancient King's music, this would be a pretty nice place to start and I would even more strongly say that if you're a fan of Midnite's and you haven't listened to too much of Ancient King's work (shame on you!) then now would be a perfect time and I can't imagine the fan of Midnite who wouldn't enjoy this album or either of his other two. I don't think that this is the one monumental moment that changes everything for Ancient King, but what "Ethiopie" is, is another strong addition and EXAMPLE of his talents and, really, anytime he can have an album it is a good thing and that is certainly true in this line of releases from Higher Bound Productions which is already attracting a surging amount of attention. Ultimately, still, the album is a strong step on the road to what I hope are big things to come for Ancient King in 2013 and in the future.